All dog breeds are prone to some kind of illness, a lot of them are based on genetics, but some of them are not. A lot of the health problems are closely associated with the particular breed. Today I would like to share with you the most common diseases that occur in Shih Tzu and how to prevent them. Certainly, some of them are genetically determined; others result from the fragility of these dogs or just from our human neglect. This disease is characterized by the degradation of the thyroid by autoantibodies, which are generated inside the dog’s system. Symptoms are mainly dry, scaly skin, weight loss and hair loss (remember that Shih Tzu does not have fur they have hair). It is encountered in all Tibetan breeds and is largely genetically determined. 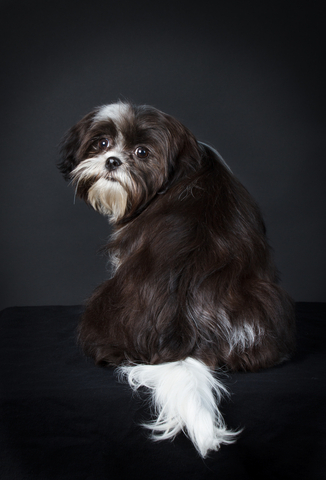 The disease occurs in many breeds of dogs, but the race Shih Tzu is it particularly vulnerable. The disease occurs due to sensitivity to external factors; remember that dogs Shih Tzu are quite delicate. The disease is manifested by acute itching, which is often associated with a runny nose, tearing, licking paws and extensive scratching. The skin of the dog is hot and clearly shows redness. The disease is sometimes genetically determined, but it is (like in humans) allergies based and can be determined by testing and your veterinarian based on the results can choose treatment appropriate for your dog. Eye disease known as cataract is very common this breed, it is clouding of the lens of the eye. The breed has large exposed eyes that are prone to infections, poisoning, trauma or metabolic diseases could be some of the causes of this illness. Eye diseases can also have a genetical background. A symptom of the disease is excessive tearing, which often causes discoloration of hair in dogs with bright colors. The disease is often treated rather quickly and non-invasively in a large number of cases flushing is adequate enough to remove the cause of obstruction. However, there are cases when surgery is required. This disease is caused by the dog’s eyelashes growing in all different directions and leads to inflammation of the cornea of ​​the eye as a result of her irritation. Treatment primarily consists of removing the third row of eyelashes. You can also prevent this by frequent and regular haircuts and if your dog has a longer hair, make sure you tie them on top of the head in a popular bows or braids. If you know that your dog may be suffering from irritation of the cornea, it is a good idea to flush their eyes on a regular basis with chamomile. Shih Tzu is one of the breeds that have breathing issues due to the structure of their body. Most common issues seen with the Shih Tzu breed are collapsed trachea, elongated palate and stenotic nares. Almost half of the dogs from this breed have airway syndrome, both elongated palate and stenotic nares. Each illness on its own can cause breathing problems and if a dog has two or three, breathing can be severely impeded. When it comes to stenotic nares, the openings of the nostrils are ‘pinched’ and too narrow. With elongated palate, there is abnormal growth of the soft tissue in the back of the throat. With collapsed trachea, the rings of cartilage in the neck are weakened and/or collapse inward. A lot of the times surgery is necessary, but it is recommended to also take provisions like limiting the amount of exercise and not using a collar when you walk your dog. All breeds of dogs are prone to some illnesses and disease; genetical predispositions are carried through the bloodline of the breeds for centuries. The above illnesses are just an example of what health issues you may find associated with this breed, but not necessary what your dog will ever suffer from. The purpose of listing what the Shih Tzu may be more prone to develop is a method of showing owners what to keep an eye on. Early detection is a very important step to recovery. Mira Alicki is a jewelry designer and goldsmith for the past 22 years. Her passion for animals led her to create her own line of jewelry and online store to benefit charities. 40% of each purchase is donated back to the animal community. You can find Mira on Twitter (@FIMHjewelry) or Forever In My Heart. Should you take your Shih Tzu to the dog park? Perhaps you are considering a new dog park but not sure if your dog will like it. Stick around because we are going to talk in detail about the dog park and whether it is suitable for all dogs. The dog park was once a great concept, particularly for urban areas. Some people still believe that their dogs love the dog park but this is actually rarely true. Sadly, a filled dog park is often a terrifying place to be, for all but the most confident Shih Tzu. Why is this so? This is because dog parks can create bullies. Yes, dogs can be terrible bullies and often their owners or the owners of the poor bullied dogs have little idea of what is going on. Think of the dog that hides, again and again from a persistent pup whilst the owner of the overwhelming dog chats away somewhere else. Dogs can also gang up on one poor timid animals making the dog park a place to be terrified of, from that very first visit. Often people believe that dogs should be encouraged to socialise, forced to interact or even pushed into the crowd with no back-up from the people that they trust. This is a poor state of affairs for a scared Shih Tzu and one that could stress him out for many days after the event. Shih Tzu body language shows fear quite well. The dog when scared will drop his tail low. Drop his body language and try to get out of the way. If your own dog does this when a dog approaches him then your Shih Tzu is scared and the dog park is really not the best place for him to be. Can you imagine being frightened of crowds yet forced to be in a place where people force their presence right into your face? That’s what the dog park is like to a worried Shih Tzu. If you live with a Shih Tzu puppy and are considering the dog park, then think again. A well-organised, professional puppy class is probably a much better option. When qualified trainers run puppy classes they prevent any kind of bullying behaviour from developing. This is because they know that bullying leads to scared dogs, as well as long term canine bullies. If a Shih Tzu puppy is bullied even once as he is growing up and learning, or even worse during one of his sensitive social learning periods, then the Shih Tzu may always be scared. Therefore, learning to be social in a controlled and carefully monitored environment is the very best bet for a Shih Tzu puppy. Back to the original question, should you take your Shih Tzu to the dog park, I am tempted to say no. Unless you can read your dog’s body language perfectly and are prepared to work hard at both keeping him happy and keeping over-enthusiastic dogs clear then no. Just allow your Shih Tzu to be naturally social with dogs he meets on normal walks and don’t force him into a crowd that he is likely to find highly intimidating. Should You Take On Another Shih Tzu? 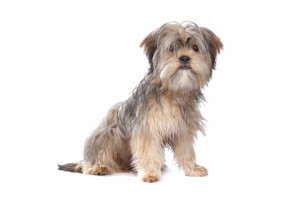 Are you thinking of getting a new dog but worried about your current Shih Tzu and how he will take to the newcomer? Perhaps you are thinking of rescuing a Shih Tzu but are wary of things never being the same again? If this sounds like you, read on for some tips. Dogs generally love other dogs and the only exception is if bad experiences have occurred in the past. Shih Tzu have historically been kept in pairs or even small groups so often take to multi dog lifestyles very well indeed. Plus of course dogs tend to gravitate together anyway so getting another dog, particularly a rescue dog with nowhere else to go, may be a great idea. The first thing to do when you are considering a new dog as a friend for your Shih Tzu is to take a look at your own dog’s personality. If you live with an older Shih Tzu that lives a quiet life then a teenage addition to the home, with poor social skills and a confrontational manner may not be the best Shih Tzu for you. The best thing to do when making this important decision is to make a list of all of your own dog’s personality traits and how they manifest. For instance, if your Shih Tzu is quiet and settled write that down. If he is desperate to play with every dog that he meets, then write that Shih Tzu trait down too. Then as you look for a second dog keep your existing Shih Tzu needs in mind! If you are planning on getting a Shih Tzu puppy, ask yourself whether this will be fair on the dog that is already in your home. If, after deliberation, you believe that a Shih Tzu puppy will be a perfect addition to your home and lives then ensure you approach a reputable breeder or good rescue shelter. Be sure to avoid pet store puppies and those being sold under dodgy conditions, for these are likely to be puppy farmed dogs with health and often anxiety issues. If you would like to offer a home to an older unwanted Shih Tzu, then bravo! It’s a good idea to speak to the person who know the dog best and ask if they believe the needy dog is a suitable companion for your existing Shih Tzu and take it from there. Finally, it’s important that the dogs meet before the final decision is made. This way your own dog also gets a say in whether the new dog is going to be a good addition to your home and lives together. Take them for a walk together, watch their body language and you will soon know whether this second Shih Tzu will be a good dog to bring home! Shih Tzu training classes can be great fun if you choose the right one. Shih Tzu puppy classes are similarly fun for the dog but it’s important to ensure you choose carefully in order to make sure that your dog really benefits. So read on and learn how to find the right training class for your Shih Tzu. Dog training is generally an unregulated profession and some people are practicing as dog trainers that really shouldn’t be. If you are looking for a Shih Tzu trainer, then be sure to carefully interview any potentials carefully. 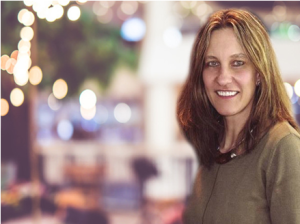 You will be looking for a trainer that has a good level of qualifications. With so many people offering courses to aid people to become a dog trainer “in six weeks” or similar it can be a difficult task to weed out the bad ones. Yet, the quality of your Shih Tzu training along with the happiness and well-being of your Shih Tzu, weed you must. Qualifications based in science. Any qualifications must be science based and not opinion based. You will be able to tell a good trainer because they will be proud of both their education and their approach. Membership of a professional organization. All good dog trainers will strive to obtain membership to a professional organisation that works to better the standards of dog training. If your potential trainer can talk freely of this, then they are likely to be pretty up to date with their teaching methods. Aversion techniques. Aversive actions are often used regularly by unlearned dog trainers. The type of techniques I am talking of is squirty water bottles, rattle cans and check collars. If a dog trainer uses these on a regular basis then they are best avoided as these methods won’t train your Shih Tzu, just scare him. Too many people in a class. The perfect class ratio should be one trainer to every 4/5 dog owners. If there is a huge class of dogs and owners with one trainer, then your trainer will not be able to keep up with everyone. The reason for a smaller ratio is to be able to recognize fear and confusion in every dog in the group. Anyone who says your Shih Tzu is a wolf. Please avoid any dog trainer that states your Shih Tzu is trying to get to the head of the pack. This theory is best avoided as it’s not true and it also breaks down communication between Shih Tzu and their people. If you are unsure about a particular Shih Tzu trainer and their methods, then do some careful research. Don’t be afraid to ask questions either because a good dog trainer will welcome questions, as we do love to talk about dogs! We do so much writing on how to make your dog easier to live with, we can often forget how he feels. So let’s explore that for a moment and make your Shih Tzu smile for a while, I bet it makes you smile too! Shih Tzu smiles are wonderful things. They don’t show teeth but they do show. Just look at your dog’s mouth at the sides. When he is smiling your Shih Tzu lip edges will turn up. It’s very subtle but wonderful nonetheless. Do some positive training. Positive Shih Tzu training is great and your dog will love it very much. I am specifically speaking of positive reinforcement here, such as clicker training where your Shih Tzu has to guess what you want in order to earn a treat. Shih Tzu are bright little dogs and relish positive training. Buy your Shih Tzu an interactive toy. Interactive toys are much loved by all dogs especially Shih Tzu. Toys are interactive when your dog can play with it or learn to do something to it that gives them something back. A Kong for instance will give out treats if you stuff it before handing it over, or an activity ball will dispense sweeties as your Shih Tzu rolls it along. Scatter feed your Shih Tzu. If your dog eats scatter friendly food, then why not toss them around the house and garden to allow him to gather them up in his own time. Scatter feeding is great fun and quite mentally tiring for your Shih Tzu. He will love every moment of it and rest well afterwards, what could make him happier? Dance with your Shih Tzu. If you have never danced with your dog, then you are missing a treat. Not only is it great fun for your dog but it is shared fun so is wonderful for your relationship with your Shih Tzu. Shut the blinds if you have to, pop on a fast song and do a Shih Tzu jig. Go for a walk somewhere new. Shih Tzu love exploring new places so why not change your walking route in order to allow him to check out somewhere new. It can get quite boring for a dog to do the same walk every day, so why not try a new park or field, your Shih Tzu will soon be smiling all over his face. It can be easy to forget that our dog’s rely on us for so much. Particularly when we are caught up in our own worlds. So make it a definite plan to make your Shih Tzu smile this week. He does, after all, make you smile every day! Does your Shih Tzu come when called or is he always going and sniffing something else instead? Perhaps your dog runs the other way or you have to chase him around before you can go home from the park. Fear not for we have the answer, take a look at our 5 fool proof ways to ensure your Shih Tzu recalls perfectly! Why would your Shih Tzu want to come back to you when you are the least interesting thing in the area? If there are other dogs to play with, ducks to chase or even interesting things to sniff and you put no effort in to be interesting too, then your dog is unlikely to feel inspired to come running when you call. A good part of being interesting is to be motivating. By properly motivating your Shih Tzu you will automatically become more interesting. A toy, treat or even a highly rewarding voice with lots of fuss will keep your Shih Tzu interested enough to race towards you when you call. Being aware of what is going on around you is a huge aspect when teaching recall to your Shih Tzu. The most important part of successful dog training is that you always set your dog up to succeed. So, by calling your Shih Tzu back when he is looking for his next activity is far more likely to succeed than calling him back when he has found something wonderfully interesting to sniff. Watch your dog’s body language. The moment he looks at a loose end wave your motivation in the air and call him back at that exact point. Always reward your Shih Tzu with something that he really likes when he comes back to you. You might not feel like it particularly if he took a while but think about it, your dog came back so you must make it worth his while or next time he will take even longer to come running when you call. Take some time to work out which rewards your Shih Tzu likes best of all and use them for recall, so that he comes back first time and every time. This may be treats, a squeaky toy or just a big cuddle. Another aspect of this is to make sure that you do not always clip the lead on and go home every time you recall your Shih Tzu. If you do this, he will soon learn that being called means the end of a walk and think twice about whether he wants to come back at all. Sufficient exercise means that you ensure your Shih Tzu is well walked. At least walked enough to meet his physical and mental needs. Your dog needs to sniff, play, run and meet other dogs every single day for up to an hour. If your Shih Tzu is going home unsatisfied by his walk he often won’t want to go home at all. We hope these 5 ways to ensure perfect Shih Tzu recall help, do let us know how you get on, thanks for reading! How to Groom a Shih Tzu with Itchy Skin! 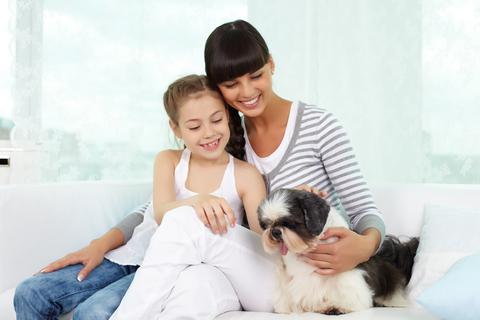 We often get asked how to groom a Shih Tzu that itches, scratches and has sore or itchy skin. The skin of a Shih Tzu reflects how healthy his immune system is so it’s vitally important to recognize that the itchy Shih Tzu will need help on the inside as opposed to simply dealing with the itching that we can see. Shih Tzu immunity can be affected by many things. Allergy to the environment, allergens within foods and even stress. When your Shih Tzu itches its not simply a case of buying a special shampoo or popping to the veterinarian’s office for a tube of cream, you have to look at all areas of your dog’s life and make improvements. They say that human immune system shows in our respiratory system (coughing, sneezing and runny nose) and the dog’s shows in his skin. So, if your Shih Tzu grooming is showing that your dog is itchy and unhappy in his skin, take a look at the following points because they may just be the very reason for the itch. So, when an allergen goes into that little body of your Shih Tzu his immune system kicks into play. This is called second stage immunity and happens as a result of poor food amongst other allergens. The cells of the immune system rush towards the allergens in the dog’s body. Think of the allergens like harmful invaders. The cells gobble up these harmful invaders to keep the body of the dog safe and healthy. This is a great and quite miraculous response from the body wouldn’t you say? Yet when the dog’s body is subjected regularly to allergens the immune system becomes over run. The harmful invaders are overcoming the immune response because of their sheer numbers. The body then tries another tactic and catches the invaders in the skin, shedding them that way. So when you ask us how to groom a Shih Tzu with itchy skin, this battle has probably been going on in your dog’s body for some time now. Many people try shampoos, ointment and even steroid creams for the itchy Shih Tzu, yet now you know what’s happening inside your dog, you should be able to see how harmful this approach can be. By stopping the ability to shed away the harmful invaders you can easily push them back into the body, causing a catastrophic result for your little Shih Tzu and his internal organs. Anything can cause this severe immune response but more often than not it’s the allergens that are regularly used in commercial dog food, these include grains, fillers, poor quality meats and animal derivatives. Poor dog food has a two pronged effect on Shih Tzu health, it causes allergic reactions then provides poor nutrition, leaving the dog’s body unable to cope. Therefore, if your Shih Tzu is itching it’s vitally important that you leave behind the quest for how to groom a Shih Tzu with itchy skin and begin to search for ways to enhance and improve the immune system of your beloved dog. Are you looking for a dog but scared of allergy in you or your children? Perhaps you have heard that the Shih Tzu is one of the dogs least likely to cause an allergic reaction in the human members of your family? Shih Tzu grooming has a lot to do with allergic reactions, let’s take a look at why. Although Shih Tzu are pushed as a hypoallergenic dog this is not strictly true for everyone. People are allergic to different things and it’s not usually as simple as whether the dog’s coat sheds or not. Read on to see why and how Shih Tzu grooming can be adapted to benefit those in the house that sneeze! It is certainly possible for the Shih Tzu owner to develop and allergy to their dog, no matter whether the dog’s coat is long or clipped short regularly. There are a couple of reasons that allergy can develop in people and Shih Tzu are low allergy dogs because with this little breed the necessary coat care naturally deals with them. Shih Tzu Grooming – Dog Hair and Dander! Dog hair and dander are the two main reasons that allergic reactions to dogs occur. Shih Tzu grooming can deal with dog hair in two different ways. The first is the need to groom the Shih Tzu in full coat on a daily basis and the second is the regular clip that pet Shih Tzu have. Both of these Shih Tzu grooming techniques keep Shih Tzu hair and dander (which is the small skin cells that your Shih Tzu naturally sheds) under control. In comparison to the high shedding dog such as the Pomeranian the Shih Tzu sheds very little and also needs more baths because of this. Regular bathing, grooming and clipping will prevent excess dander and hair build-up which in turn prevent allergy in humans that share their lives with the Shih Tzu. Another thing you can do beyond Shih Tzu grooming is take extra care of the immune system of your Shih Tzu. The immune system of a dog sends toxins out through the skin, this results in extra dander and nasty skin cell build-up that can cause sneezing and even dust mind increase in the home. Take care of your Shih Tzu immune system by choosing the best food, ensuring he has vitamins and adding extra oil and omega 3 to your dog’s diet and the skin will naturally be healthier and less likely to shed dander that prompts allergic reactions. If you are dog obsessive, as I am, a home without at least one little furry beastie then you should consider the Shih Tzu, because even if he isn’t completely hypoallergenic he is certainly, with regular Shih Tzu grooming, not far from it. Playing a game of retrieve is a wonderful way to build a relationship with your dog. It can be used in many ways, from extra physical exercise right through to brain games. 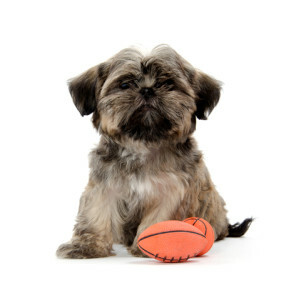 Shih Tzu are not natural retrievers though so read on to learn how to train a Shih Tzu to fetch. Many dogs are natural retrievers and very good at it, this is often the case for spaniels, Labradors and of course retrievers. They are so good at playing fetch because it’s in their genes. They were bred for it by humans. Though it’s harder training a Shih Tzu to fetch because he is bred to do something else completely. Have plenty of tiny, super tasty treats to hand. Decide on the thing you would like your Shih Tzu to fetch and have that to hand too. Sit on the ground with your Shih Tzu, in an area where there are no distractions, and place a treat on the item you want him to learn to fetch. When your Shih Tzu takes the treat say the name of the item and repeat this many times. Next pretend to put the treat on the item and when your Shih Tzu touches it say the word in the same way but this time give your Shih Tzu the treat directly from your hand. Continue this step until your Shih Tzu is nose nudging the item then looking to you for a treat. After that increase the distance between your Shih Tzu and the item by taking him away from it and then saying the word and allowing him to run back and touch the item. Then quickly say the name of the item again and give your Shih Tzu a treat. Keep practicing this until you are certain your dog knows the name of the item. The above steps will take numerous Shih Tzu training sessions of ten minutes a time. Don’t be tempted to go beyond a ten-minute session or your Shih Tzu will lose confidence or interest. Pushing a Shih Tzu too far will have an adverse effect on Shih Tzu Training. When your Shih Tzu knows the name of the item go back to sitting with him in close proximity to it and start to withhold your reward gradually until your Shih Tzu begins to pick up the item in his mouth. For this you may need to reward small steps towards picking up the item, such as opening his mouth around it or picking it up for a split second. Each time he does something close to picking it up lavish him with reward and gradually your Shih Tzu will get the idea. This is a process called shaping, where you are rewarding smaller steps in order to create a bigger end result. Eventually you can teach your dog to bring the item and swap it for a treat, by careful shaping for a successful retrieve. How often does your Shih Tzu training offer your dog a choice? Perhaps you are under the impression that choice is overrated and that your Shih Tzu should do exactly as you tell him? Read on to learn how beneficial the aspect of choice is, during dog training. Shih Tzu are individuals, they may have breed traits that are the same, just as you may have things in common with your family members, yet just as you are each dog is unique. Shih Tzu personality is predominantly nice, he is a companion dog by nature and genetic influence, yet he also deserves respect for the individual that he is, hence your Shih Tzu training should always incorporate choice. The second reason to bring choice into your Shih Tzu training is that it will have the best effect on Shih Tzu learning. Think of it this way, how was school for you? Were you pushed from lesson to lesson whilst people told you what to do, what to learn and how to learn it? How did that make you feel? For many people that lack of choice during school years resulted in very poor learning experiences. I certainly did not retain much information from my school years. Shih Tzu training is much the same as this, we can’t throw commands at our dogs and expect them to enjoy and respond when we are forcing the issue without choice or motivation. The dog is not getting the chance to learn properly because he has no time to think things through. The lack of choice takes away your dog’s ability to be an individual. This is unfair because your Shih Tzu is indeed an individual. Your Shih Tzu can easily become confused by the fact that you are forcing the issue, leading to frustration and upset within your relationship. Incorporating choice into Shih Tzu training and behavior is actually quite easy when we use positive dog training. It’s simply a case of offering the dog something good if he makes the right choice, whilst also giving him the extra space to choose. For instance, waiting for him to sit for his toy rather than forcing the issue. Or allowing your Shih Tzu to decide whether he would prefer to pull on the leash or take a treat for keeping a slack leash on walks. Adding choice to Shih Tzu training is easy and takes about 30 seconds of extra waiting time. Simply wait and observe your dog in a situation that you would normally tell him what to do, then reward when he makes the right choice. Shih Tzu training with choice is an amazing dog training tool because it strengthens everything from your dog’s good behaviors to the communication and the relationship that you share as a dog and human partnership. So, if you are ever tempted to force the issue when teaching your dog something new, or rectifying that persistent behavior, take a step back and award your Shih Tzu the choice. Then reward the right choice, or ignore the wrong one and your Shih Tzu training will improve overnight!